Ever wonder how you can use the social media for job search? Although increasingly more job seekers are employing Facebook and Twitter to find new job opportunities, LinkedIn continues to be the social media platform of preference for both employers and job applicants. When it comes to finding career opportunities, using social media for job search, research crowned LinkedIn the King. For a recent graduate, who is merely getting into the rough space of seeking employment, a LinkedIn profile account is an excellent head start to build a professional network on social media for job search, to get a leg up on the competition. 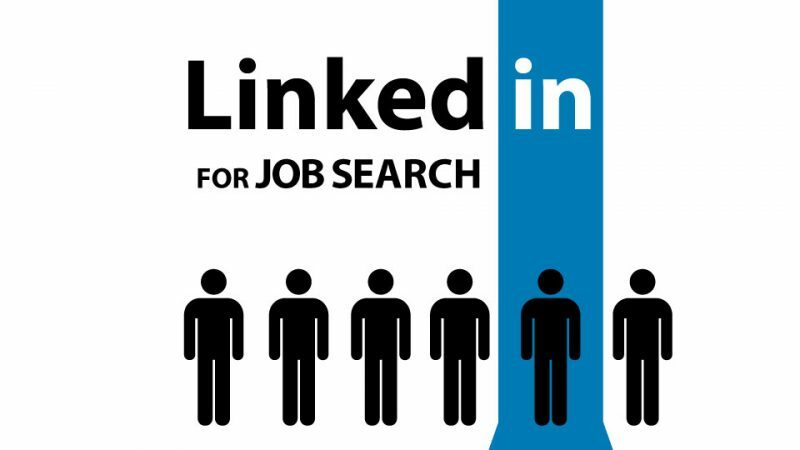 Why is LinkedIn a Social Media for Job Search? Social Medias have grown to be critical to your job search, as the graph below illustrates, because it is being employed by recruiters increasingly. In the recent JobVite.com survey, 93% of employers indicated that they were likely to check out a candidate’s social account, and 42% of these employers have reconsidered an applicant based on what they found – both negative and positive. LinkedIn – the most preferred SOCIAL NETWORKING site for Recruiting has over 350 million users. LinkedIn is the most “grown-up” and professional of the social media network sites currently available. In comparison to Facebook, LinkedIn is also the most respectful of member personal privacy. Based on the JobVite recruiter study, the use of social media for recruiting has broadened, and the development is likely to continue. LinkedIn is in the lead in many ways clearly. Interestingly, although much larger in number of users at 540 million, Google Plus is used by only 18% of the public employers. At least presently. 95% of employers use LinkedIn to find candidates. 93% use LinkedIn to “track” potential prospects. 93% use LinkedIn to “vet prospects pre-interview” (vs. 32% on Facebook and 18% on Tweets). 92% posted job vacancies on LinkedIn (vs. 48% on Facebook and 39% on Tweets). Another interesting thing LinkedIn offers is how it can help in upgrading one’s job trajectory. Often, we write CVs whenever we need to; but with a person who regularly updates his / her LinkedIn profile, a CV is often ready. A good recruiter is much more likely to look at that direction at the concluding stage of the interview. For LinkedIn account that are updated regularly, when the time to create a good CV comes, this is a walkover. CVs do not take images usually; the recruiter gets an possibility to see what one mien looks likes through LinkedIn. A combination of factors determines whether an individual will land a job or not, some mundane plus some genuine apparently. There’s also a true amount of determinants as to the reasons people lose their careers asides from competence. Social networking is fast becoming one particular reasons. Most job offers are in the discretion of the recruiters or employers usually. In the last stage of any interview, things such as LinkedIn get started to count, specifically for organisations that are quickly embracing changes in the media landscape. See Also: A Complete Step-By-Step Guide on How to Create A Good CV from Scratch! LinkedIn’s unique feature also is based on its ability to provide customized news to the user’s timeline. This sort of news provides user the possibility to see regularly what others on the market are doing or reading. There’s also groups on LinkedIn to get such news and connect to other people. Additionally it is the right site to take part and invite others to note your brilliance, contributions and other positive attributes. For all those taking a look at making mid-career techniques, LinkedIn is the favorite spot because companies are recognized to poach staff from other organisations plus they can easily see what the real potential employee does through LinkedIn. It’s no magic formula that LinkedIn is a robust job search tool. It can help you expand your network, gain job leads, grab the interest of recruiters and even more. There are many other ways to leverage social media to give your job hunt a boost, though. LinkedIn is the de facto standard for professional profiles, and a strong LinkedIn presence is essential for any job seeker. But LinkedIn is not only great for finding jobs. Many potential partners, organisations, clients and fellow workers will research you on LinkedIn. Your account is going to be the first impression you make with them – which explains why it is important to constantly build and upgrade your profile during your career. Many people use LinkedIn as only a digital version of their résumé, but there are so many other ways to showcase your skills and experience on the social platform. For example: Ensure you’re getting the most out your LinkedIn recommendations. Upload portfolio examples. Join industry groups. Follow prospective employers and influential people in your industry. And now, the question remains, how are you using social media for job search? Let me know your thoughts in the comment below. ← Why Are Nigerians Moving Abroad? Do you have any job search tips on LinkedIn? I have created my LinkedIn profile to become reasonably good but as it is I find myself not attracting more profile views and job postings by recruiters. what should I do?